Victoria has a diversity of landforms which reflect variations in geology and the many different land forming processes which have occurred over a range of geological periods and climatic regimes. Land forming processes include earth movements, erosion, river and marine action and volcanic activity. This 'Digital Elevation Model' provides a broadscale map of Victoria's relief. Geomorphology (or physiography) is used to classify land at a broad level in terms of its form and development process. 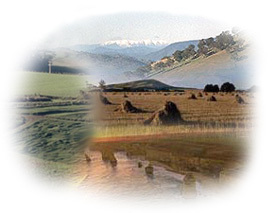 Earth Resources in Victoria webpage on the DEPI website - includes a link to the Geo Vic Explore Victoria Online application. The Geoscience Australia website provides a Palaeographic Atlas (external link) - showing the evolution of the Australian landscape over geological time periods.